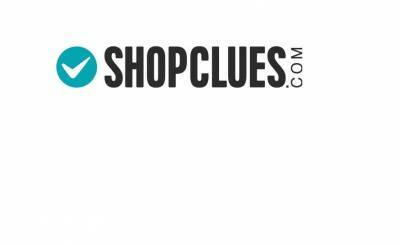 ShopClues AnnouncesSatte Pe Satta Campaign to celebrate its 7th Anniversary Sale! ShopClues, the preferred platform for the real Bharat has announced its 7th AnniversarySale starting from January 21 to January 27, 2019. Over 5 lakh products with whopping discounts, upwards of 77% will be on offer, spread across categories like Fashion & Lifestyle, Mobile Phones, Electronics & Accessories, Home & Kitchen, and even its exclusive Labels – Meia, Digimate and Homeberry. The ever so popular ShopClues Anniversary Sale is back with a Bollywood theme this year with the Satte Pe Satta campaign to celebrate their 7th anniversary Sale. This annual sale attracts shoppers from across the country, especially from Tier 2, 3 & beyond. At attractive and alluring price points for the discerning shopper of Bharat, the Anniversary Sale will have an array of products that are aspirational with a special focus on the refurbished category that is offering a heavy discount up to 80%. At the 7th Anniversary Sale, consumers can look forward to lowest price deals, fun hourly deals and the most awaited launch of the Always Connected PCs which is India’s first all- time connected PC. The highlight of the Satte Pe Satta campaign sale are the MogamboKhush Hua Offer starting at Rs 77/-, the Crazy 7 Sale that offers a flat 77% discount, the Free Ki Sale that offers free shipping on all products and the Last Day of Sale with products price ending with 7. “In the last 7 years, ShopClues has experienced a very exciting journey and we have really come a long way expanding our reach, consumer engagement and offerings to differentiate ourselves in the e-commerce space. It has been a phenomenal year for us in 2018 and we couldn’t be happier as a team. Of course, none of this would be possible without the trust and patronage of our shoppers and therefore, this joy would be incomplete without sharing it with them. Our 7th Anniversary Sale is an endeavor to thank our customers for being our well-wishers and supporters. We have worked hard with our seller partners to curate best offers, on very popular products for our customer, which we are sure would delight them”, said Radhika Ghai, CBO and Co-Founder, ShopClues.